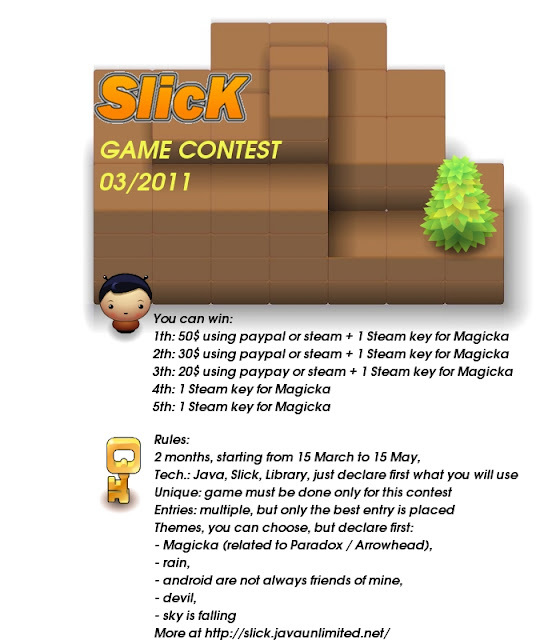 The folk over at the Slick2D forum are hosting a game making contest. There are prizes to be won (see below for the details). Head over to the Slick2D forum to Sign Up.